American Honda Motor Company is recalling 492 model year 2003-2012 Honda Accords and Pilots, model year 2010 Accord Crosstours, model year 2001-2011 Civics, model year 2002-2011 CR-Vs, model year 2003-2004, 2006-2008 and 2011 Elements, model year 2007 and 2009-2013 Fits, model year 2010-2012 Insights, model year 2002-2004 Odysseys, and model year 2012 Ridgelines. The front passenger airbag may have been installed incorrectly during replacement. American Honda Motor Co. is recalling 9,179 model year 2017 Ridgeline AWDs manufactured April 1, 2016, to August 11, 2016. Water may enter the rear wiring harness through the connector located under the truck bed drain hole, possibly causing the connection terminals to corrode. 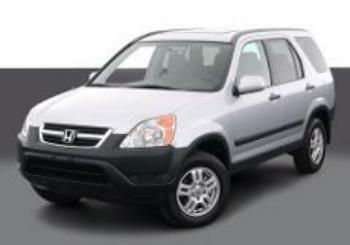 Honda is recalling 268,655 model year 2002-2006 CR-V passenger vehicles, manufactured from February 19, 2002, through July 28, 2006. The driver-side power window switch may fail or melt. If the switch fails, it could overheat, smoke, and cause a fire. A switch failure and a fire could occur even if the vehicle is not in use. As a precaution, owners are advised to park outside until the recall repair has been performed. Honda will notify owners, and dealers will inspect and repair the switches -- as necessary -- free of charge. The safety recall is expected to begin on, or about, November 2, 2012. Owners may contact Honda at 1-800-999-1009. Honda is recalling 43,782 model year 2012-2013 Honda Fit Sport vehicles manufactured May 23, 2011, through March 22, 2013. The electronic stability control system of the affected vehicles may allow excessive yaw rates at high steering angles with certain tires. Excessive yaw rates prevent the proper function of the electronic stability control (ESC) system, increasing the risk of a crash. Honda will notify owners and dealers will update the ESC software free of charge. The safety recall will begin on May 17, 2013. Owners may contact Honda automobile customer service at 1-800-999-1009. Honda's recall campaign number is S99. Workmanlike. That's a one-word description that has pretty much summed up the Honda Civic, and its direct competitor the Toyota Corolla, all these years. Introduced in July 1972, the Civic has provided entry-level automotive transportation for millions of consumers, many of whom have driven their cars until the doors fell off. The car was prized mostly for its value and reliability. In 2013 Honda hopes to broaden the appeal. 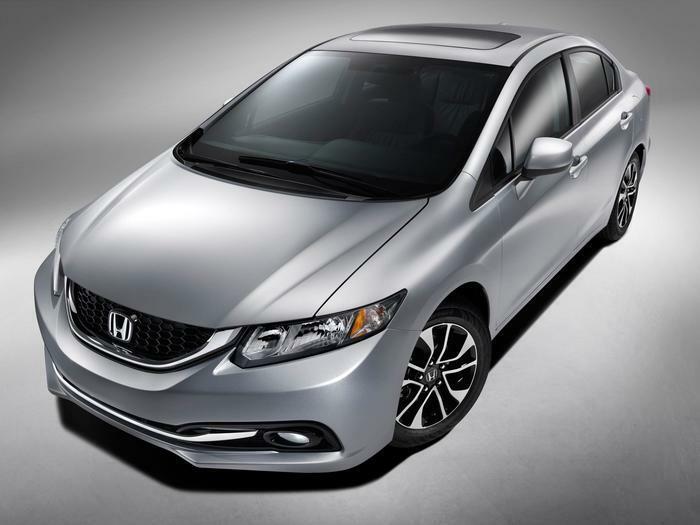 The carmaker this week provided the first look at the much-anticipated 2013 Honda Civic sedan, in advance of its debut at the 2012 Los Angeles Auto Show on November 29. The refined styling of the 2013 Civic Sedan, which goes on sale at Honda dealerships on November 29, manifests itself in a host of safety, feature, comfort, chassis and interior styling enhancements that Honda hopes will further define the top-selling Civic as the best car in the compact class. At first glance the 2013 Civic looks more expensive that its forerunners. The front end includes a new open-mouth lower bumper with a horizontal chrome accent and a sportier, black honeycomb mesh grille, anchored by new integrated fog lights on upper trims. The grill is flanked by new clear-lens corner lights that add to the more premium look. The 2013 Civic's more sculpted front end features a more deeply faceted hood, complemented by a collection of sharp new wheel designs. A new rear bumper design and new rear trunk lid are just the beginning of the changes to the rear of the car. The tail lights carry into the trunk face as designers try to suggest an upscale style. "The 2013 Honda Civic exterior refinements infuse Civic with a more youthful, premium style.” said Vicki Poponi, assistant vice president of product planning for American Honda. “Coupling these with additional changes beneath will ensure that Civic maintains its top-ranked status." It remains to be seen if the “premium” enhancements also carry a premium price. Honda revealed no price information as part of is sneak peek. That will have to wait for Nov. 29. The starting price of the 2012 Honda Civic is just under $18,000. Honda is recalling 270 model year 2013 Pilot 2WD and 4WD vehicles and model year 2013 Odyssey vehicles. During manufacturing of the engine piston, it is possible that the heat treatment process was not properly applied, resulting in the piston having an insufficient hardness level, making it more susceptible to premature wear. A worn piston may suddenly fail, causing the engine to stall, increasing the risk of a crash. Honda will notify owners, and dealers will replace the engine short block free of charge. The recall is expected to begin September 16, 2013. Owners may contact Honda at 1-800-999-1009. Honda's recall numbers are JB4 for the Odyssey and JB5 for the Pilot. 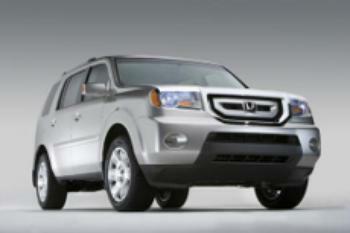 Honda is recalling 374,618 model year 2003 and 2004 Odyssey and model year 2003 Acura MDX vehicles. Due to electrical noise, a component in the air bag control module may fail causing the front air bags, side curtain air bags, and/or seatbelt pretensioners to deploy inadvertently while the vehicle is being operated. Inadvertent deployment of the air bags may increase the risk of injury and the possibility of a vehicle crash. Honda will notify owners, and dealers will install a noise suppressor unit, free of charge. The recall is expected to begin on, or about, October 28, 2013. Owners may contact Honda at 1-800-999-1009. 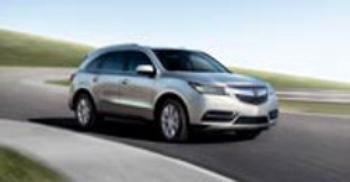 Honda's recall numbers are JC2 (Honda Odyssey) and JC3 (Acura MDX). American Honda Motor Company is recalling 344,187 model year 2007-2008 Honda Odyssey vehicles manufactured August 8, 2006, through September 8, 2008. Due to a combination of system components and software, the Vehicle Safety Assist System (VSA) may apply the brakes unexpectedly. The vehicle may suddenly and unexpectedly brake hard, and without illuminating the brake lights, increasing the risk of a crash from behind. Parts to remedy these vehicles will not be available until the spring of 2014. Honda will send owners an interim letter notifying them of the issue and instruct them how to prevent unintended braking. A second notification will be sent when the parts become available. Interim notification is expected to begin in early December 2013. Owners may contact Honda at 1-800-999-1009. Honda's recall number is JC5. American Honda Motor Co. is recalling 19,197 model year 2014 Acura MDX AWD vehicles manufactured May 6, 2013, through October 14, 2013. The bolts that attach the drive shaft to the automatic transmission transfer assembly may not have been properly tightened and could loosen, possibly allowing the shaft to detach. If the drive shaft detaches while the vehicle is being driven. it could cause excessive noise and possibly damage the vehicle, increasing the risk of a crash. Honda will notify owners, and dealers will inspect and tighten the drive shaft attaching bolts as necessary, free of charge. The recall is expected to begin in December 2013. Owners may contact Honda at 1-800-999-1009. Honda's recall number is JC8. American Honda Motor Company is recalling 7,387 model year 2014 Acura RLX vehicles manufactured August 7, 2012, through November 5, 2013. The bolts that attach the rear lower control arms to the sub-frame of the vehicle may have loosened during transport to dealerships. Loose rear lower control arm bolts may reduce steering ability, increasing the risk of a crash. Honda will notify owners, and dealers will replace the rear suspension lower control arm bolts, free of charge. The recall is expected to begin in early January 2014. Customers may contact Honda at 1-800-999-1009. Honda's number for this recall is JD0. American Honda Motor Co. is recalling 9,816 model year 2014 Honda Civic LX vehicles manufactured November 26, 2013, through January 21, 2014. In the affected vehicles, during mounting of the tires, the tire bead may have gotten pinched between the assembly equipment and the steel wheel rims, resulting in damage to the tire. The tire damage could cause the tire to lose air, increasing the risk of a crash. Honda will notify owners, and dealers will inspect and replace any damaged tire, free of charge. The recall was expected to begin on March 28, 2014. Owners may contact Honda at 1-800-999-1009. Honda's number for this recall is JD8. 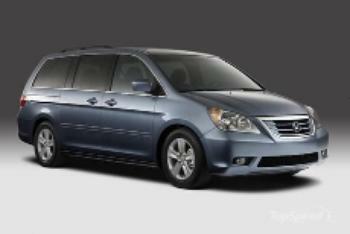 Honda is recalling 24,889 model year 2014 Odyssey vehicles manufactured October 2, 2013, through December 16, 2013. The shorting terminal, an electrical connector used to prevent air bag deployment before being installed into a vehicle, may have been damaged during assembly of the passenger-side side curtain air bag. The damage could cause failure of the passenger-side side curtain to deploy, increasing the risk of occupant injury in a crash. Honda will notify owners, and dealers will replace the damaged shorting pin with a new shorting coupler, free of charge. The recall is expected to begin in early May 2014. Owners may contact Honda at 1-800-999-1009. Honda's number for this recall is JE2. American Honda Motor Co., is recalling 1,038 model year 2013 Honda Fit vehicles manufactured May 24, 2013, through July 5, 2013, and equipped with a manual transmission. The passenger side driveshaft may break while driving due to an improper heat treatment application during manufacturing. If the driveshaft fractures and separates while driving, the vehicle would lose power and coast to a stop. If a vehicle with a fractured driveshaft is parked without the parking brake applied, the vehicle could move unexpectedly. Either condition increases the risk of a crash. Honda will notify owners, and dealers will inspect the passenger side driveshaft and replace it if necessary, free of charge. The recall is expected to begin on June 15, 2014. Owners may contact Honda customer service at 1-800-999-1009. Honda's number for this recall is JE4. American Honda Motor Company is recalling 189 model year 2015 Acura TLX AWD vehicles manufactured August 26, 2014, to September 20, 2014. The affected vehicles may have incorrect values for the Gross Vehicle Weight Rating (GVWR) and Gross Axle Weight Rating (GAWR) front and rear printed on the safety certification label. If the vehicle is loaded to the specifications listed on the label, tire failure may result, increasing the risk of a crash. Honda will notify owners, and dealers will install a corrected certification label, free of charge. The recall is expected to begin on October 21, 2014. Owners may contact Honda customer service at 1-800-382-2238. Honda's number for this recall is JK6. American Honda Motor Company is recalling 43,481 model year 2014-2015 Acura MDX vehicles manufactured April 23, 2013, to August 25, 2014, and 2014 Acura RLX vehicles manufactured November 5, 2012, to November 25, 2013. The driver and front passenger seat belt may not extend or retract in low temperatures, increasing the risk of injury in a crash. Honda has notified owners, and dealers will replace the driver and front passenger seat belts, free of charge. The recall began in November 2014. 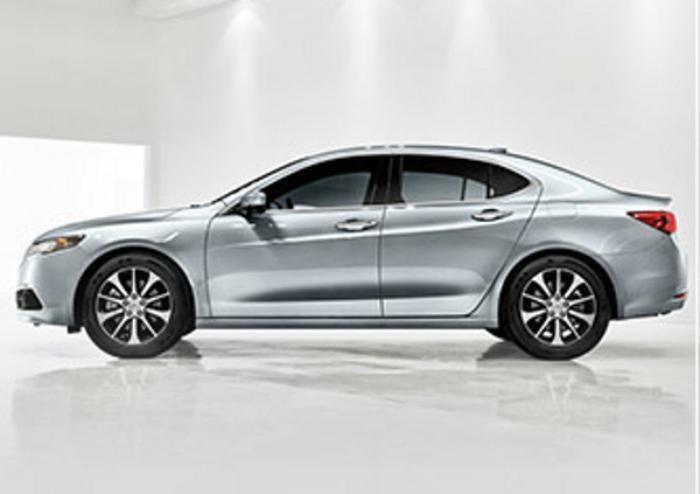 Owners may contact Acura customer service at 1-800-382-2238. 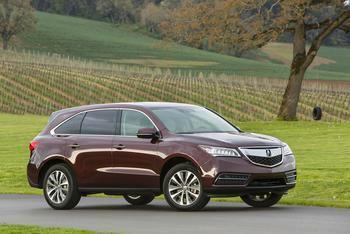 Honda's number for this recall is JK7 for the MKX, and JK8 for the RLX. 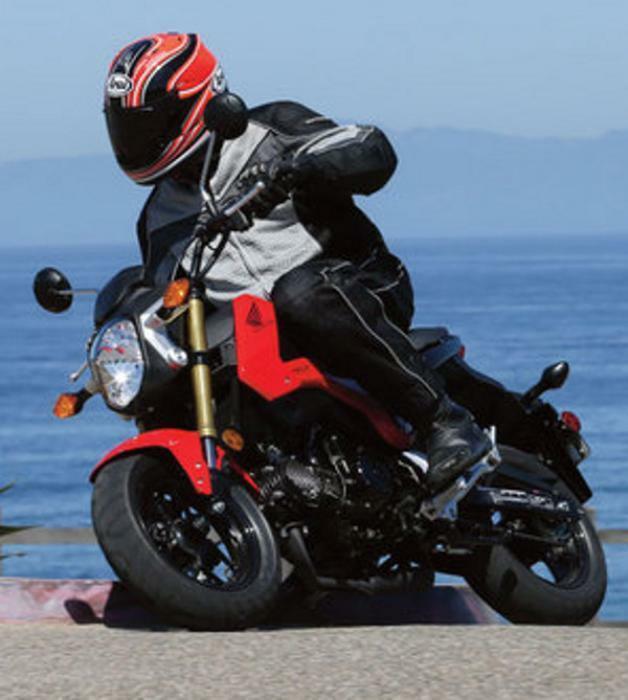 American Honda Motor Co. is recalling 10,076 model year 2014 Grom125 motorcycles manufactured June 12, 2013, to September 24, 2014, and 2014 Forza-NSS300 and NSS300A motorcycles manufactured June 18, 2013, to May 21, 2014. The resin bracket inside the fuel pump may swell, interfere with the impeller, and potentially lead to a fuel pump failure. This could cause the motorcycle to stall, increasing the risk of a crash. Honda will notify owners, and dealers will replace the fuel pump with an updated fuel pump, free of charge. The recall began November 28, 2014. Owners may contact Honda customer service at 1-310-783-2000. Honda's number for this recall is JL1 NSS300 (Forza) and JL2 Grom (Grom125). American Honda Motor Co. is recalling 9,391 model year 2015 Acura TLX V6 2WD vehicles manufactured July 14, 2014, to November 12, 2014, and certain 2015 TLX V6 SH-AWD vehicles manufactured August 26, 2014, to November 10, 2014. The automatic transmission parking pawl may become contaminated or the park rod may become dislodged or broken. This may prevent the transmission from shifting into the Park position. 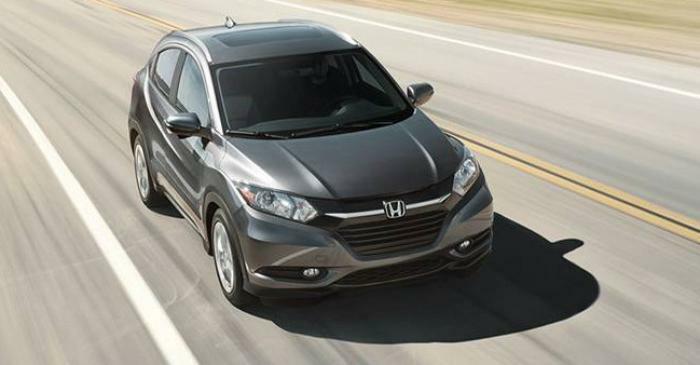 Honda will notify owners, and dealers will inspect and replace the transmission if necessary, free of charge. The recall is expected to begin January 6, 2015. Owners may contact Honda customer service at 1-310-783-2000. Honda's number for this recall is JM8. 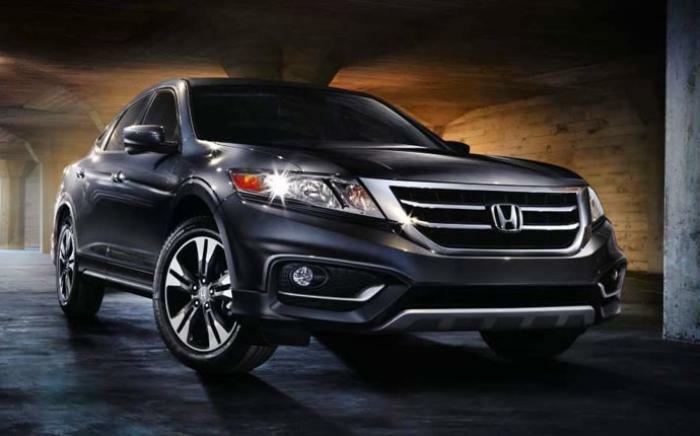 American Honda Motor Company is recalling 1,252 model year 2015 Crosstour 4 Cylinder vehicles manufactured October 1, 2014, to November 4, 2014; Crosstour V6 2WD vehicles manufactured September 30, 2014, to November 13, 2014; and Crosstour V6 4WD vehicles manufactured September 30, 2014, to November 18, 2014. The inflator tube for the side curtain air bag may have been manufactured incorrectly. If the side curtain air bag does not inflate properly, it can affect the performance of the air bag in the event of a vehicle crash, increasing the risk of occupant injury. Honda will notify owners, and dealers will replace the left and/or right side curtain air bags, free of charge. The recall is expected to begin January 9, 2015. Owners may contact Honda customer service at 1-310-783-2000. Honda's number for this recall is JN0, JN1, and JN3. 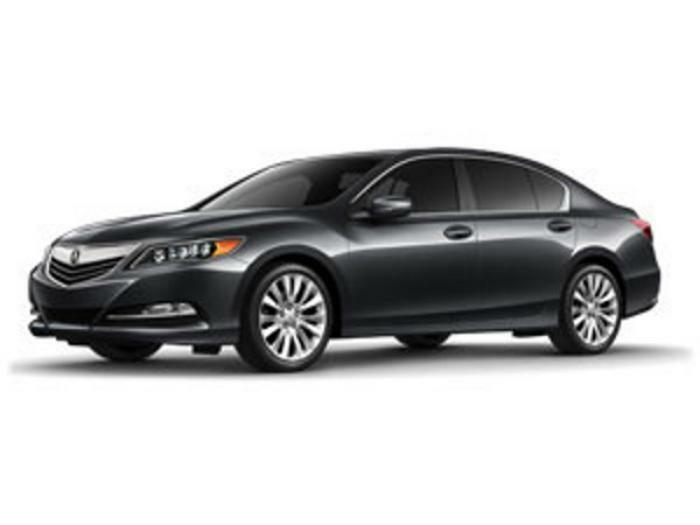 American Honda Motor Co. is recalling 9,751 model year 2014 Acura RLX vehicles manufactured November 22, 2012, to January 30, 2014; 2015 Acura RLX vehicles manufactured June 4, 2014, to November 18, 2014; and 2014 Acura RLX Hybrid vehicles manufactured November 5, 2013, to July 25, 2014. An aluminum film applied to the inner reflector of the headlight may experience adhesion issues causing the film to delaminate, which could diminish output of the headlight, increasing the risk of a vehicle crash. Honda will notify owners, and dealers will replace both headlights, free of charge. The recall is expected to begin January 30, 2015. Owners may contact Honda customer service at 1-310-783-2000. Honda's number for this recall is JN2. Honda is recalling 504 model year 2014 Honda CBR1000S motorcycles manufactured December 9, 2013, to March 28, 2014, and 2015 Honda CBR1000S motorcycles manufactured October 20, 2014, to February 27, 2015. The recalled motorcycles may have been built with an improperly manufactured rear shock absorber. The nut on the damper rod for these shock absorbers may loosen, resulting in a loss of damping and the possible disassembling of the shock. If the damper rod nut loosens, shock absorber performance would be affected, possibly causing a loss of vehicle control and increasing the risk of a crash. Honda will notify owners, and dealers will remove the shock assembly and send it to the supplier's service center for repair. Once repaired, the supplier's service center will ship the shock assembly back to the dealer and the dealership will reinstall the shock on the motorcycle. This work will be performed free of charge. The manufacturer has not yet provided a notification schedule. Owners may contact Honda customer service at 1-866-784-1870. Honda's number for this recall is JQ3. American Honda Motor Company is recalling 104,871 model year 2001 American Honda Motor Company is recalling 104,871 model year 2001 Accords, 2004 Civics and 2008 Pilots. Upon deployment of the driver side front air bag, excessive internal pressure may cause the inflator to rupture. In the event of a crash necessitating deployment of the driver side front air bag, the inflator could rupture with metal fragments striking and potentially seriously injuring the vehicle occupants. Honda will notify owners, and dealers will replace the driver side front air bag inflator in all affected vehicles, free of charge. The manufacturer has not yet provided a notification schedule. 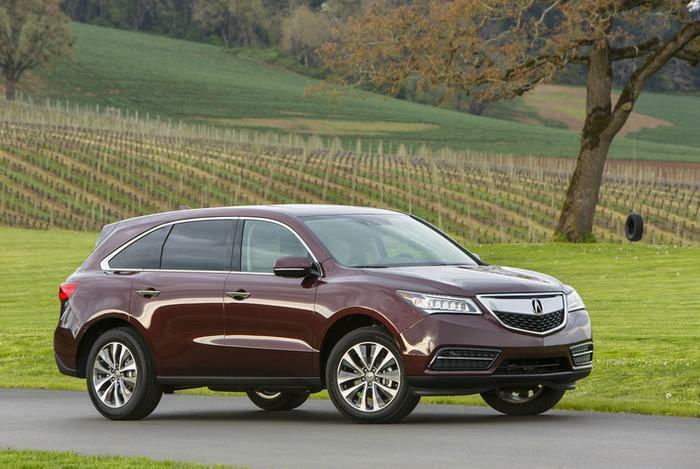 Acura is recalling approximately 19,500 model-year 2014-2015 MDX and RLX vehicles equipped with the Collision Mitigation Braking System (CMBS) in the U.S. The CMBS may incorrectly determine that there is the potential for a forward collision if a vehicle detected ahead is traveling near a metallic structure, such as a metal guard rail or fence. This could lead the CMBS to apply the vehicle brakes unexpectedly, increasing the risk of a crash with following traffic. No crashes or injuries have been reported related to this issue in the U.S., but 1 crash was reported in Japan. Owners should take the recalled vehicle to an authorized dealer as soon as they receive notification of this recall. Mailed notification to customers will begin in June. Owners can determine if their vehicles require repair by calling (800) 382- 2238 and selecting option 4. Honda is recalling 1,358 model year 2016 Pilots manufactured May 4, 2015, to June 5, 2015. Due to an assembly issue, the third row seatbelt may be trapped between the rear seat and the rear sideliner. If the seatbelt is trapped, the occupants may not be restrained properly, increasing the risk of injury. Honda will notify owners, and dealers will inspect and repair the rear third row seat belt, free of charge. The recall is expected to begin on August 6, 2015. Owners may contact Honda customer service at 1-310-783-2000. Honda's number for this recall is JS7. American Honda Motor Co. is recalling 11,511 model year 2016 HR-V vehicles manufactured January 12, 2015, to May 20, 2015. The vehicles may be missing the required tire placard indicating "Tire and Loading Information." Thus, they fail to comply with the requirements of Federal Motor Vehicle Safety Standard (FMVSS) 110, "Tire Selection and Rims and Motor Home/Recreation Vehicle Trailer Load Carrying Capacity Information for Motor Vehicles with a GVWR of 4,536 kilograms (10,000 pounds) or less." If the tire placard is missing the driver or owner may not know at what pressure to inflate the tires, resulting in over or under tire inflation, potentially increasing the risk of a tire failure and crash. Honda will notify owners, and dealers will inspect the vehicle, and apply a new label, free of charge. The recall is expected to begin September 18, 2015. Owners may contact Honda customer service at 1-310-783-2000. Honda's number for this recall is JT2, or JT4. American Honda Motor Co. is recalling 17,796 model year 2015 Fit vehicles manufactured December 6, 2013, to August 28, 2014. The recalled vehicles may experience damage to the wires inside the Plug Top Ignition Coils (PTC) due to improper protection against electrical noise. Honda will notify owners, and dealers will replace the PTC with new design, free of charge. The recall is expected to begin October 6, 2015. Owners may contact Honda Automobile Customer Service at 1-888-234-2138. Honda's number for this recall is JT9. 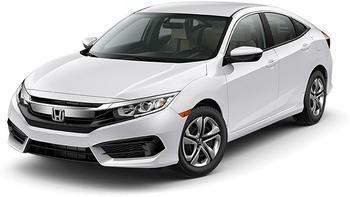 American Honda Motor Co. is recalling 143,676 model year 2014-2015 Civic vehicles manufactured January 16, 2014, to November 6, 2014 and 2015 Fit vehicles manufactured March 12, 2014, to May 12, 2015. The software settings that control the transmission operation may result in damage to the transmission drive pulley shaft. If the transmission drive pulley shaft is damaged, it may break, and the vehicle may lose acceleration or the front wheels may lock up while driving, increasing the risk of a crash. Honda will notify owners, and dealers will update the software for the transmission, free of charge. The recall is expected to begin October 16, 2015. Owners may contact Honda customer service at 1-888-234-2138. Honda's numbers for this recall are JU2 (Civic) and JU3 (Fit). American Honda Motor Co. is recalling 6,786 model year 2014-2015 Honda Accord Hybrids manufactured August 29, 2013, to May 30, 2015. Electrical interference may cause the hybrid system to switch into fail-safe mode, disabling the gasoline engine, limiting the vehicle's speed to 40 miles per hour and functioning only on battery power. Once the battery is discharged, the vehicle will stall increasing the risk of a crash. 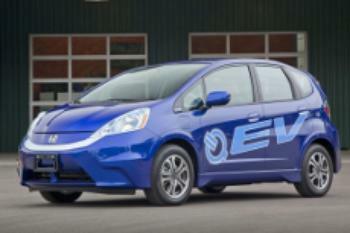 Honda will notify owners, and dealers will update the hybrid system software, free of charge. The recall is expected to begin November 6, 2015. Owners may contact Honda customer service at 1-888-234-2138. Honda's number for this recall is JT7. American Honda Motor Co. is recalling 35,406 model year 2016 Honda Pilot 2WD vehicles manufactured May 4, 2015, to September 8, 2015, and 2016 Pilot 4WD vehicles manufactured May 7, 2015 to September 4, 2015. When one of the safety systems such as tire pressure monitoring, anti-lock braking or electronic stability control malfunctions, there is potential that the instrument panel will not illuminate the corresponding warning light. However the warning lamps will illuminate when the ignition is turned off and then turned back on. As such, these vehicles fail to comply with the requirements of Federal Motor Vehicle Safety Standard (FMVSS) number 126, "Electronic stability control systems", number 135, "Light vehicle brake systems" and number 138, "Tire pressure monitoring systems". If a safety system cannot immediately warn the driver when needed, the driver may be at at increased risk of a crash. Owners may contact Honda customer service at 1-888-234-2138. Honda's number for this recall is JV7. 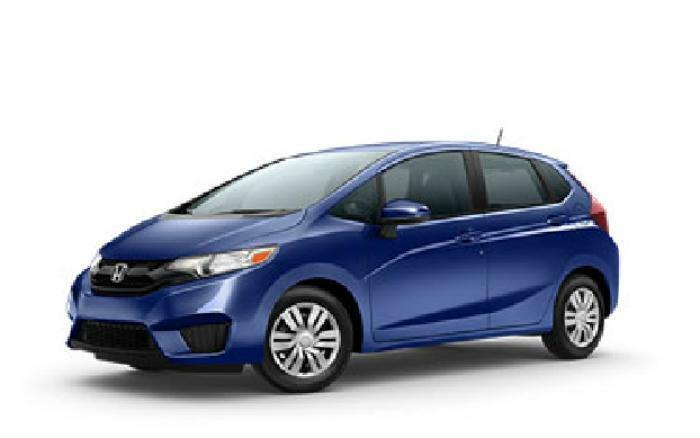 American Honda Motor Co. is recalling 25,367 model year 2015-2016 Fit vehicles with LX trim manufactured April 11, 2014, to July 02, 2015 and not equipped with a sunroof. The rear grab handle brackets were not manufactured properly, and as a result, may puncture the side curtain air bags upon their deployment. As such, these vehicles fail to comply with Federal Motor Vehicle Safety Standard (FMVSS) number 214, "Side Impact Protection" and number 226, "Ejection Mitigation". Honda will notify owners, and dealers will replace the rear grab handle bracket, free of charge. The recall is expected to begin December 4, 2015. Owners may contact Honda customer service at 1-888-234-2138. Honda's number for this recall is JV8. American Honda Motor Co. is recalling 1,533 accessory rear trunk bases, part numbers 08L71-K35-J00, 08L70-KZY-910, and 81200-KWN-780 used to mount accessory trunks on Honda PCX125 and PCX150 scooters. The locking hook of the accessory removable trunk may not fully engage to the trunk mounting base, allowing the trunk to inadvertently detach. If the trunk detaches during riding, it may become a road hazard and increase the risk of a crash. Remedy parts are not currently available. Honda will send owners an interim notification to instruct them not to use the trunk or to visit a dealer for a temporary remedy. When parts are available, owners will receive a second notification and dealers will install a newly designed trunk base, free of charge. The manufacturer has not yet provided a notification schedule. Owners may contact Honda customer service at 1-800-999-1009. Honda's number for this recall is JY8. American Honda Motor Co. is recalling 42,129 model year 2016 Civics manufactured September 22, 2015, to February 3, 2016 and equipped with 2.0L engines. The recalled vehicles have engines with piston assemblies that may have been manufactured without a piston wrist pin circlip or with an incorrectly installed piston wrist pin circlip. Honda will notify owners, and dealers will inspect and replace the piston assemblies, as necessary, free of charge. Parts are expected to be available in the Summer of 2016. Owners will be mailed an interim notification beginning March 15, 2016, and will be mailed a second notice when parts are available. Owners may contact Honda customer service at 1-800-999-1009. Honda's number for this recall is JX9. American Honda Motor Co. is recalling 39 model year 2015 Acura MDX 2WD and MDX 4WD vehicles, 2016 Acura MDX 4WD vehicles, 2015-2016 Honda Odyssey vehicles and 2016 Honda Pilot 2WD and 4WD vehicles. The vehicles have fuel tanks that were manufactured with insufficient welds which may separate and allow fuel to leak out. Honda will notify owners, and dealers will replace the fuel tanks, free of charge. The recall is expected to begin July 8, 2016. Owners may contact Honda/Acura customer service at 1-888-234-2138. Honda's numbers for this recall are KA9 (Honda vehicles) and KB0 (Acura vehicles). American Honda Motor Co. is recalling 11,846 model year 2016 Civic 2-Door vehicles manufactured February 23, 2016, through May 20, 2016. The affected vehicles may have a damaged LED side marker light circuit board inside the taillight assembly, making the marker light inoperable. As such, these vehicles fail to comply with the requirements of Federal Motor Vehicle Safety Standard (FMVSS) number 108, "Lamps, Reflective Devices, and Assoc. Equipment." Honda will notify owners, and dealers will inspect both the taillight assemblies, replacing them as necessary, free of charge. The recall is expected to begin in August 2016. Owners may contact Honda customer service at 1-888-234-2138. Honda's number for this recall is KB8. American Honda is recalling about 350,000 Civic Coupes and Sedans from the 2016 model year to update software affecting Electric Parking Brake (EPB) functionality, free of charge. No crashes or injuries have been reported related to this issue, which was discovered through warranty claims associated with the illumination of the brake warning light. If the EPB cannot be applied, the "BRAKE" warning indicator in the instrument panel will blink for 15 seconds to alert the driver. Additionally, if the EPB does not properly set and a parking gear is not selected by the driver, the vehicle may roll away, increasing the risk of a crash. Honda is announcing this recall to encourage each owner of an affected vehicle to take it to an authorized dealer for repair as soon as they receive notification of this recall from Honda. Mailed notification to customers will begin in early November 2016. Additionally, owners of these vehicles can determine if their vehicles require repair now by going to www.recalls.honda.com or by calling (888) 234-2138. American Honda Motor Co. is recalling 136 model year 2016 Honda Pilot 2WD and AWD vehicles with fuel tanks that may leak. Honda will notify owners, and dealers will replace the fuel tank, free of charge. The recall is expected to begin April 24, 2017. Owners may contact Honda customer service at 1-888-234-2138. Honda's number for this recall is KE8. American Honda Motor Co. is recalling 13 model year 2018 Honda Civics. The manufacturing date area of the certification labels may have random characters which can affect the owners' ability to determine if a safety recall includes their vehicle. If an owner is not able to verify if his vehicle is involved in a safety recall, it can increase the risk of injury or crash. Honda will notify owners, and dealers will replace the certification label, free of charge. American Honda Motor Co. is recalling 806,936 model year 2011-2017 Honda Odysseys. The second row outboard seats can slide sideways to one of two positions. If a seat is placed between either of the two positions when attaching the seat to the vehicle floor, the seat will not latch properly to the seat striker, allowing the seat to tip forward unexpectedly during braking. A seat that tips forward during braking can increase the risk of injury. 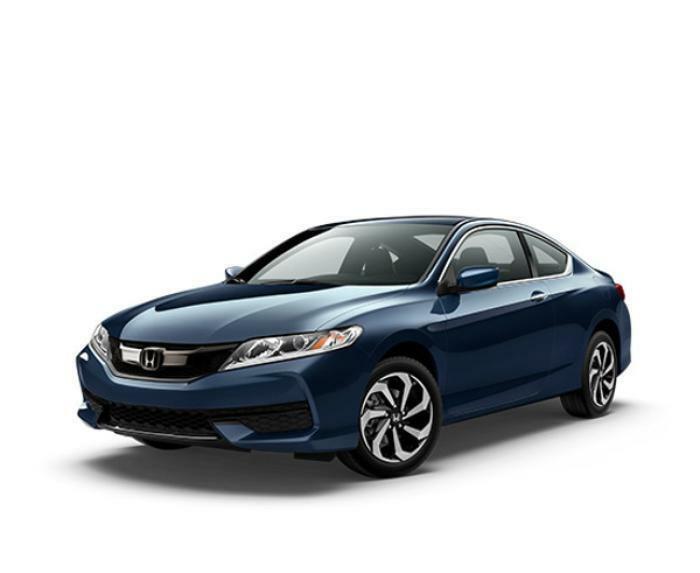 American Honda Motor Co. is recalling 232,140 model year 2018 Accords and model year 2019 Insights. In certain cases, the back-up camera center display may not function properly. Failure of the rearview camera to show what is behind the vehicle can increase the risk of a crash. Honda will notify owners, and dealers will reprogram the display audio unit software, free of charge. American Honda Motor Co. is recalling 254,568 model year 2014-2016 Honda Odysseys. The second row outboard seats have a lever to fold the seatback and slide the seat forward to access the third row seats. Due to a manufacturing error, if the walk-in release lever is used to fold a fully reclined left outboard seatback forward, the seatback may stay in the unlocked position (free-folding) or unexpectedly unlock without engaging the walk-in or recliner lever. American Honda Motor Inc., is recalling 7,016 model year 2017-2018 Honda Civic Hatchbacks and Civic Type Rs, whose owners guide may have incorrect information. The owners guide may have incorrect information for properly using the child restraint anchorage system, increasing the risk of injury in the event of a crash. The recall is expected to begin January 8, 2019. American Honda Motor Company is recalling 5,827 model year 2018 Honda Pilots & Ridgelines, and model year 2018 Acura MDX vehicles. The front driver and passenger powered seats in the Hondas and the driver powered seats in the Acuras may have been assembled with improperly manufactured rivets. In the event of a crash, the rivets can break causing the seats not to be secured to the floor. American Honda Motor Co. is recalling 118 model year 2019 Honda Insights, Odysseys and Ridgelines. The Supplemental Restraint System (SRS) control unit may have a manufacturing error, possibly resulting in the airbags or seatbelt pretensioners not deploying in the event of a crash. If the airbags or seatbelt pretensioners do not function as intended, there would be an increased risk of injury. American Honda Motor Co., is recalling 64,785 model year 2017-2019 Acura MDXs, model year 2017-2018 Acura MDX Sport Hybrids, model year 2018-2019 Honda HR-Vs and Honda Odysseys, and model year 2016 Honda HR-Vs. The rear brake caliper pistons may have an insufficient coating, causing gas pockets to form, reducing brake performance and increasing the risk of a crash. Owners will be notified, and Honda or Acura dealers will bleed the brakes, free of charge. American Honda Motor Co. is recalling 403 model year 2019 Honda Ridgelines and Pilots. The mounting holes for the clip that secures the right center pillar trim panel may be larger than intended. In the event of a crash necessitating right side curtain air bag deployment, the clip may not hold the center pillar trim panel in position and it may potentially interfere with the curtain air bag deployment. Honda is recalling nearly 1 million cars to repair problems with power windows and computer equipment. The recall, which includes 962,000 cars worldwide, follows the recall of more than 2.3 million Hondas last month to fix automatic transmission problems. The latest recall includes Fit compacts, CR-V and City models in Japan, China, the U.S., Europe and elsewhere. The problem involves defective power-window switches. A Honda spokeswoman said there were nine reported cases of vehicles catching on fire in Japan and China because of the power-window problem. She also said two people reported light burns after touching overheated switches. Honda is also recalling 26,000 CR-Z hybrid models in Japan, the U.S., Canada and other markets because of defective programming of electronic-control units. The National Highway Traffic Safety Administration (NHTSA) is upgrading an investigation of a possible safety defect in the ignition-transmission interlock of more than 1.4 million Honda vehicles. NHTSA says it has received hundreds of complaints and some injury reports that Honda vehicles' keys could be taken out of the ignition even when the transmission was not shifted into park. Ruthy of Los Angeles said she had "almost been killed 5 times" when her ignition would suddenly cut off in traffic. When Matthew of Tallahassee took his ignition key out, various warning lights remained on. Therese said her CRV "car does not always register when it is in park" and it is imossible to remove the key. Reuters reported that the agency has upgraded its preliminary investigation into 1.3 million Honda Accord sedans from model years 1998 to 2001, as well as about 62,000 Honda CR-V sport utility vehicles from 2002. NHTSA said it has received 135 complaints from Accord owners and 34 complaints from CR-V owners about a failure of the ignition-park interlock, which is designed to keep vehicles from rolling away after being shut off. The complaints include reports of 21 crashes and one injury from Accord buyers, and 7 crashes with 3 injuries from CR-V owners. NHTSA also said Honda had 112 warranty claims for the Accord and 29 CR-V warranty claims that were related to problems with the interlock. NHTSA will now conduct an engineering analysis to determine exactly what caused the problems, and rule whether a recall is necessary. Honda is recalling 2001 Civic and Accord models. The driver's airbag could produce excessive internal pressure, possibly causing the inflator to rupture. If this happens, metal fragments could pass through the air bag cushion material, possibly injuring vehicle occupants. Dealers will replace the airbag inflator free of charge. For more information, owners may contact Honda at 1-800-999-1009. July 20, 2009 Honda is recalling 2001 Civic and Accord models. The driver's airbag could produce excessive internal pressure, possibly causing the inflator to rupture. If this happens, metal fragments could pass through the air bag cushion material, possibly injuring vehicle occupants. Honda is recalling more than 384,000 Accord, Civic and Element models to fix a problem with the interlock lever of the ignition switch. The interlock can unexpectedly become inoperable, which could allow the key to be removed even though the car is not in park, possibly allowing it to roll away. Dealers will remove the original interlock pin and lever and replace them with redesigned components when the recall begins in late September 2010. In a class action suit against American Honda Motor Corporation, an Illinois man charges that a design defect in certain Honda CR-V and Element models makes them prone to fast-spreading engine fires. The oil filter is dangerously close to the exhaust manifold on 2003, 2004 and 2005 model CR-Vs, the suit charges, and is mounted vertically, creating a situation where leaking oil can spray directly on the hot exhaust manifold. The suit said the alleged defect also occurs in Element models equipped with the 2.4-liter DOHC i-VTEC engine. "I have worked as a general automotive technician in a nearby Honda dealership. Honda designs the engine with the oil filter in a very ungodly place: between the block and the firewall. They even have special 'shields' sent to the dealership, so that when an oil change is done, the technician can put that on the exhaust, because the filter is also located directly above the hottest part of the exhaust, and oil will get on the exhaust during an oil change." "I used to cringe when I saw a new Honda SUV coming in for service because I did my job correctly, and made sure the filters were tight. But doing so means getting burns from the exhaust, which I still have scars from a year later. To fully understand its positioning, you really need to get a new honda SUV on the lift, and look at the beast from below. I don't know WHAT they were thinking when they designed it this way. It's like, here's the oil filter, now, lets make an SUV around it." The plaintiff, Hal Pilger of Springfield, Ill., alleges that Honda has known of the supposed defect but has failed to issue a recall. Pilger's 2003 CR-V burst into flames while he was driving it, he said. Honda has denied all of the allegations and says any fires that have occurred have been the result of improper installation of the oil filter. The suit notes that, beginning with 2002 models, Honda modified its engine design to improve compliance with clean air standards. The changes resulted in significantly higher temperatures in the exhaust manifold and exhaust pipes, creating a situation where leaking oil is more likely to ignite. Attorneys for Pilger said tests performed by consulting engineers found that the CR-V and Element's front exhaust pipe exceeded 800 degrees (F) during both city and highway driving tests. This mirrors an observation made by a ConsumerAffairs.com reader, Matt of Columbus, Ohio, who wrote in October 2004 of a bizarre sight he had witnessed during his morning commute on a Columbus freeway. "In morning daylight, 8:30 AM, 50 degree temperature in Columbus Ohio, I was astonished to see a Honda CRV travelling at 65 mph beside me on the freeway with its exhaust system glowing so brightly I first mistook it for an orange neon lighting system," Matt wrote. "The first thing that came to mind was 'this poor guy's car is going to catch on fire,'" said Matt, who said he is an experienced mechanic and member of a Sports Car Club of America racing team. While not denying that fires have plagued CR-V and Element owners, Honda has taken the position that the fires are not the result of a design defect but rather the fault of poor workmanship by the mechanics who perform oil changes on the vehicles. Excerpts from internal American Honda reports submitted to the National Highway Traffic Safety Administration (NHTSA) "contain numerous admissions ... and clearly establish that it is the defective engine and exhaust system design and configuration" that has caused the engine fires, the suit charges. Officially, Honda has blamed the problem on a "double gasket" problem, often when a vehicle gets its very first oil change. In December 2004, Honda sent letters to vehicle owners saying that oil filter's rubber gasket tends to remain stuck in the engine block, which prevents the new filter from sealing properly. Oil then leaks out onto a hot manifold, potentially starting a fire, the company said. NHTSA accepted the explanation, though somewhat reluctantly. Initialy, in July 2004, Honda blamed the fires on mechanics and issued revised instructions to dealers. But the fires continued. In September, there had been at least 44 fires and NHTSA re-opened its investigation. Honda stuck with its story. Honda officials said that technicians were leaving the rubber gasket from the factory-installed oil filter on the engine block and placing the new filter on top of it. "When that happens, the filter doesn't seal properly, allowing oil to leak out. After a few minutes of driving, the CR-V's manifold heats up and ignites the leaking oil," said a story published at the time. But Pilger's lawsuit casts doubt on Honda's explanation. It charges that the company's own internal investigation found that 68.4% of the oil leaks and fires did not "in any way" involve the so-called "double gasket" problem. In addition, says the suit, Honda's attempt to cast blame onto auto mechanics doesn't wash.
"Millions of oil changes are performed every day throughout the country -- and an untold number of these oil changes are performed improperly and result in oil leaks," the suit says, but few of the leaks result in fires. "That is, in large part, due to the engine and exhaust system design configurations used by automotive manufacturers," configurations that it says Honda ignored in the design of the CR-V and Element. The suit asks the court to award damages to owners of vehicles that were damaged by fire and to launch a recall campaign to repair or replace the allegedly defective vehicles. Toyota isn't the only Japanese carmaker struggling with a recall issue. Honda has an issue of its own. The carmaker has initiated a voluntary recall of more than 141,000 Honda Fit subcompacts, along with another half-million Fits sold in other countries. The recall was prompted by a fire hazard. No injuries have been reported in the U.S., but a fire from a window switch in a Honda Jazz killed a child in South Africa last year, according to WhatCar?, a British car Web site. Honda has included 172,000 Honda Jazz models in the UK in the recall for the window switch problem. The recall comes at a bad time for Honda, as it and other competitors have tried to separate themselves from Toyota's sticking accelerator problem, which led to the suspension of U.S. sales of eight Toyota models. In a letter to Honda and Acura dealers this week, John Mendel, executive vice president of American Honda Motor Company, said the company does not expect a problem similar to Toyota's. "While we use the same supplier as Toyota for some of our products, as do other manufacturers, we do not use the same components," he said. The Honda Fit was Consumer Reports highest-rated subcompact last year. Meanwhile, this is not the first fire issue Honda has faced in the U.S. In 2007 an Illinois man filed a class action suit, charging a design defect in certain Honda CR-V and Element models makes them prone to fast-spreading engine fires. The oil filter is dangerously close to the exhaust manifold on 2003, 2004 and 2005 model CR-Vs, the suit charges, and is mounted vertically, creating a situation where leaking oil can spray directly on the hot exhaust manifold. The suit said the alleged defect also occurs in Element models equipped with the 2.4-liter DOHC i-VTEC engine. Honda owners writing to ConsumerAffairs.com have also reported fires in other Honda models. Brian, in Felton, Dela., reported in October 2009 that the radio in his Honda Odyssey shorted out and caught fire. Kelly, of Philadelphia, reported that her low mileage Civic caught fire in the engine at the fuse box site, igniting the battery. "Honda is very unwilling to accept responsibility that the car was defective," she told ConsumerAffairs.com. "I am also expected to keep making payments on a car that is literally melted to the street."